When your hot water goes out, all you can think about is getting it fixed – fast. But purchasing the right water heater for your home is a process you shouldn’t take lightly. There are many different options available on the market, each with its own benefits for homeowners. So how do you find the best model for your home? The water heater repair experts at Delk Plumbing are here to help you. Here are some things to keep in mind. Think about the installation process – You’ll need to think about the process of installing a water heater. While some people try to do this task on their own, it’s always best to contact local plumbers in Charleston and North Charleston who are professionals at installing water heaters. If you decide on a tankless water heater, choose a plumber who specializes in this type of appliance. Consider the cost and gallon size – The size of the water heater usually correlates to its cost. The water heater for a family of five or six would need to be bigger than the one for a family of two. The exception to this rule is the tankless water heater, which is generally more expensive up front. Think about speed and efficiency – How important is the efficiency and speed of your water heater? If you want an unlimited and instant supply of hot water, tankless water heaters may be for you. However, it’s best to talk to a plumber repair service about the best system for your home and family. 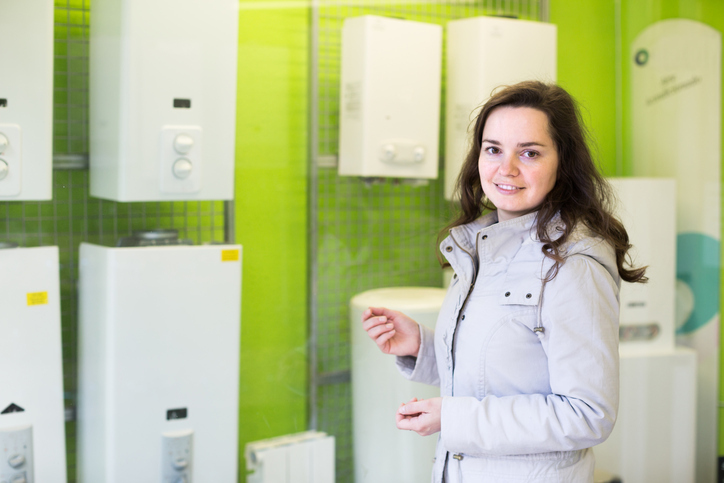 Take the hassle and headache out of shopping for a water heater. Call Delk Plumbing for water heater repair and water heater replacement. If we can’t fix it, we’ll help you select the best model to provide the warm water your family needs to be comfortable.